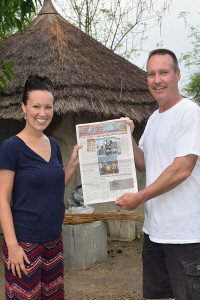 Erika Bauer and her father, Tim Bauer, recently returned from a two-week missions trip to South Sudan. 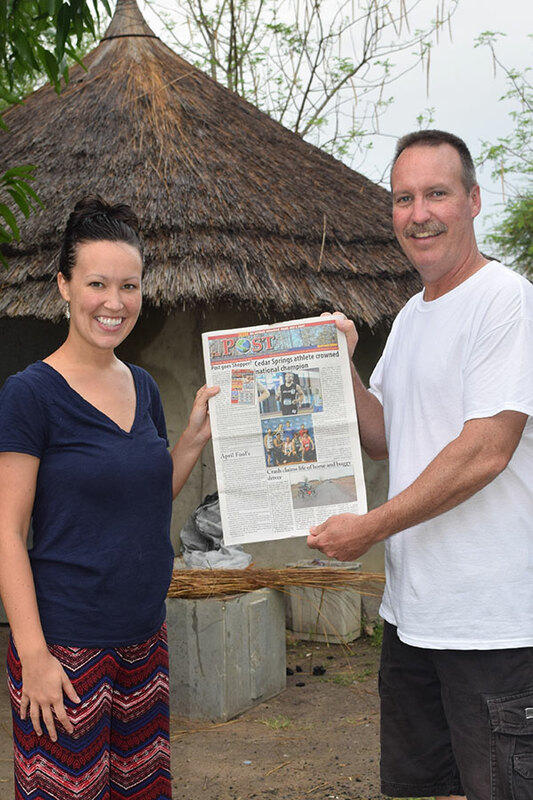 They went with a team from Partners In Compassionate Care (PCC), who built a hospital in Werkok, South Sudan. Erika, an RN who works in the ICU department at Blodgett Hospital in Grand Rapids, assisted in the Memorial Christian Hospital surgeries and patient care. Tim spent his time ministering in various ways to the local people. It was a great learning experience for both in a very harsh environment that has witnessed much bloodshed in recent years. South Sudan became a nation in July, 2011 after years of civil war. The area they went to is still unstable where hostilities between tribes can flare up at any moment. Independence from the north has brought new challenges in maintaining unity within their society. Most Americans have become familiar with South Sudan through a group of young men known as the Lost Boys (young women were also in this group). The director of PCC, Dave Bowman, took five of these young men into his home in Rockford in 2001. A movie called “The Good Lie” was taken from his story. It describes the incredible journey these young people were forced to make after armies from the north destroyed their villages during civil war battles, causing them to flee for their lives. Some were relocated to America. Now that they have grown up, some are taking their newfound skills and degrees back to their homeland to help build a better society. South Sudan needs these young people who are no longer the lost boys, but rather the men of hope for a new nation. Thanks, Erika and Tim, for taking us with you!